Nothing will throw a monkey wrench in your travel plans faster than an issue with your vehicle. 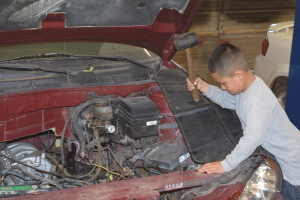 Thanks to Eagle Automotive right here in Page, you don’t have to let car troubles slow you down! 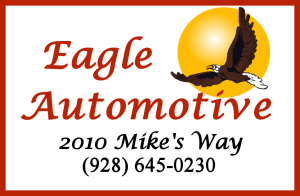 Eagle Automotive has been helping the people in our area for 11 years, and their in-house ASE certified mechanic and ASE certified master tech can handle any problem your vehicle may have! To say that Eagle Automotive knows vehicles back-to-front is underestimating the true scope of their extensive knowledge. Eagle Automotive offers everything from AC services, drive train services, engine and fuel system repairs, transmission services, welding services, and more! They offer individual help on all makes and models, not to mention their fleet business! Eagle Automotive will keep your vehicles running longer with preventative maintenance such as oil changes, brake services, tire services, and anything else you can think of! If you’re from around here, it’s no secret that everybody knows Eagle Automotive. 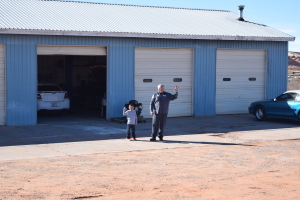 Whether it’s their great hourly prices, their high-quality guaranteed service, or their knowledgeable and friendly mechanics, this family-owned business has spent the past 11 years earning the trust of our locals — with many more years to come! If your vehicle is having issues, don’t waste time trying to figure out which place to take it to — the choice is easy. It’s local. It’s affordable. It’s trustworthy. It’s Eagle Automotive.